Drivers don't trust Uber to build a self-driving car, according to a study released Tuesday. Compared with automakers and established tech giants, consumers are less likely to view ride-hailing companies as reliable autonomous-vehicle manufacturers, according to a global study published by data analysis company Inrix. The discrepancy highlights the need for partnerships in the self-driving car space, with new alliances like that between Google's Waymo and Lyft helping fill the gaps in autonomous-vehicle development. In a survey of 5,045 drivers from five countries, about 30 percent said they would trust traditional car manufacturers to build self-driving cars and more than 20 percent said they would trust companies such as Apple or Google. 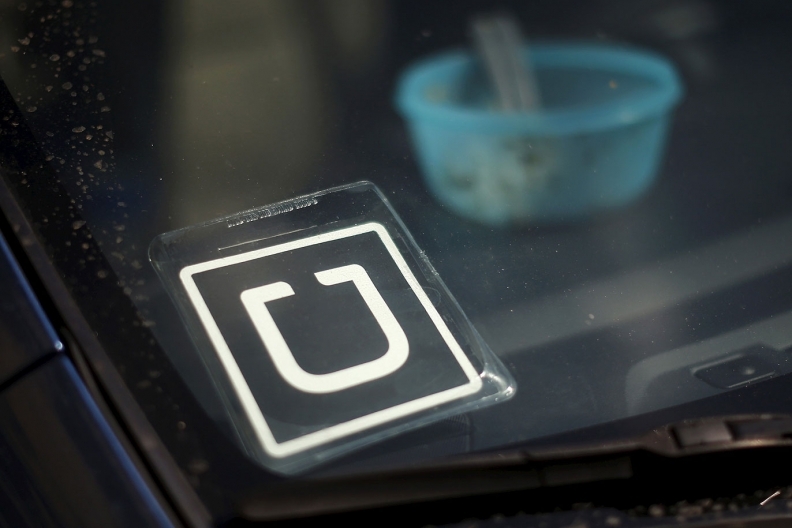 However, only 4 percent said they had faith in ride-hailing companies. "Consumers and drivers have trust in these long-running corporations," said Bob Pishue, senior economist at Inrix and co-author of the report. "Rideshare companies are newer, and although they're popular, people tend to trust those they're most familiar with." There's much at stake in the race to deploy self-driving cars. Autonomous vehicles could create a $77 billion market by 2035, according to Boston Consulting Group. Partnerships can strengthen a company's position and help mitigate uncertainty, Pishue said, giving older companies access to new technology and networks and lending decades of experience to newer entrants. They can also help companies appeal to a wider range of demographics. Pishue said baby boomers are more likely to trust automakers while younger generations see large tech companies as the leaders of the self-driving car future. "Partnerships are a solution to help you appeal to all age groups," he said. While joining with more established companies can help ride-hailing companies address issues with experience, these younger companies can help manufacturers find a way to profit in an entirely new market. Though 71 percent of respondents said they believe self-driving cars will be as safe or safer than cars on the road today, only a quarter said they would buy an autonomous vehicle. "If companies want to sell autonomous vehicles, this is going to be a challenge," Pishue said. The study did not examine why drivers did not want to buy a self-driving car, but Pishue said it's likely consumers expect to use autonomous vehicles as part of an on-demand network rather than owning them. Bringing companies such as Uber and Lyft on board can help companies hedge their bets by providing both cars for individual ownership and as part of a ride-hailing network. "You can create a much broader consumer base with these types of partnerships," he said.